I have to be honest, I wanted to call it "Naked Rammstein" ... But I didn't want to get in any trouble, so I thought it best just to add 'cake' in the title. I made two sponges today, check down the bottom of this enrty for the second sponge details. Originally, this one was going to be covered in fondant or buttercream with the logo iced on top. But, alas, the recipient has far more simple tastes and wanted a plain sponge, and not so sweet, for their birthday. I used one of my basic sponge mix per 8" layer, of which there were two and added some basic buttercream, very sparingly to sandwich them together with some strawberry jam (with not bits). Before they were sandwiched together, each sponge had a sprinkling of simple syrup with some vanilla extract added to it. 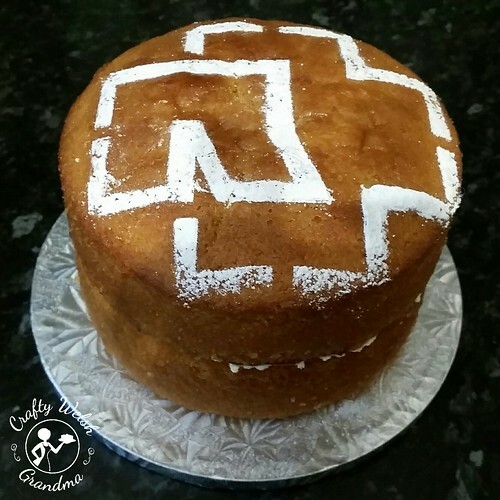 The top was dusted with plain icing sugar, my daughter cut a template of the Rammstein logo to sprinkle the icing sugar onto. She was also going to bake it as it was her project, but she was busy out celebrating the birthday, so mother baked it. Whilst I was baking, I'd seen my cousin earlier in the day and she asked me so nicely for a sponge cake, I killed two birds with one stone. 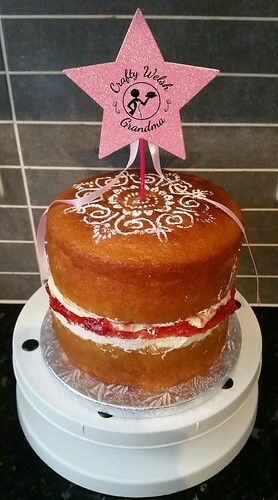 Her request was for lashings of jam and buttercream. This sponge had 1.5 basic sponge mix per layer with some basic buttercream, the sponge was sprinkled with some vanilla simple syrup. 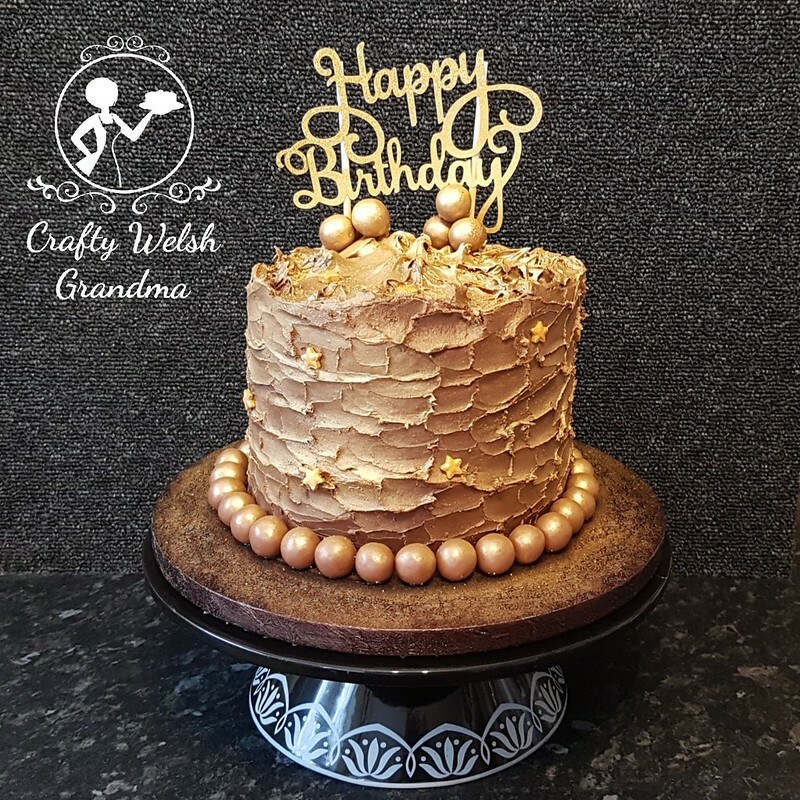 I knew what happened was going to happen ... Too much filling, especially jam, will make this cake unstable, so I adorned it with a sparkly star wand for that extra bit of stability, especially during transport / delivery.